It's hard to believe the picture if you never heard about the Cave of the Crystals or Giant Crystal Cave (Spanish: Cueva de los Cristales) located in Naica, Chihuahua, Mexico. 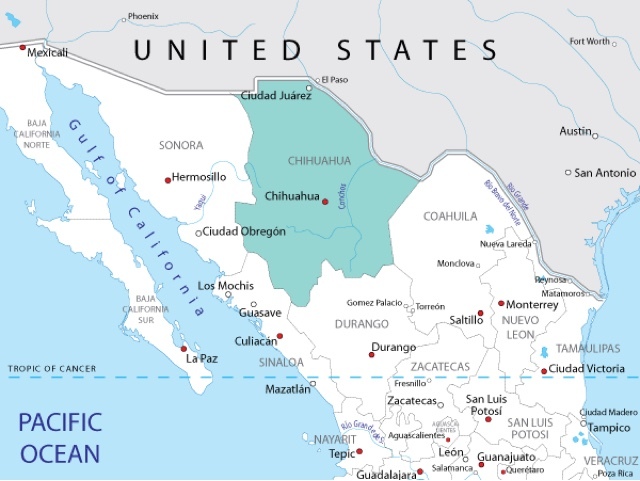 The cave was discovered by miners excavating for new tunnel for mining company Industrias Peñoles in April 2000 while drilling through Naica fault at the depth of 300 meters (980 ft). The cave was discovered by the brothers Eloy and Javier Delgado. 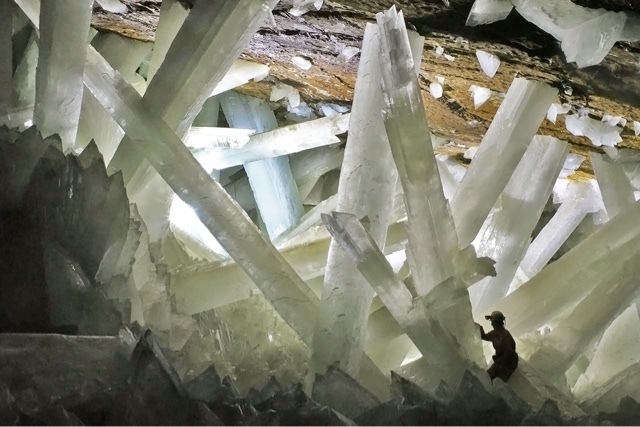 The crystals formed in the cave known as selenite crystals (gypsum, CaSO4·2 H2O), some of the largest natural crystal ever found. 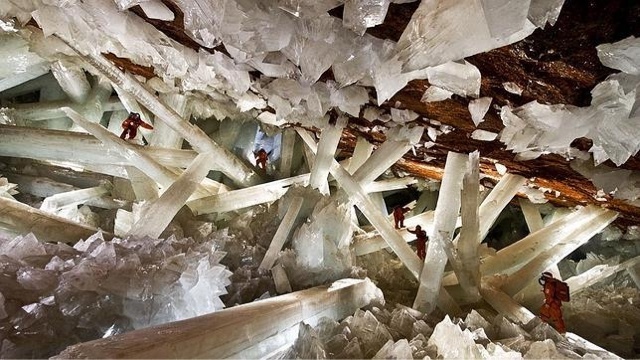 The largest crystals so far is 12 m (39 ft) in length, 4 m (13 ft) in diameter and 55 tons in weight. The minerals crystallized at very slow rate over the course of at least 500,000 years to form the crystals found today. In 1910 miners discovered another cave that was known as Cave of Swords (Spanish: Cueva de las Espadas). This cave is located at the depth of 120 meters (390 ft) above the Cave of Crystals. It also contains crystals formation with 1 m (3 ft 3 in) long crystals. The cave will never be open to public since the condition inside the cave are not suitable for human. 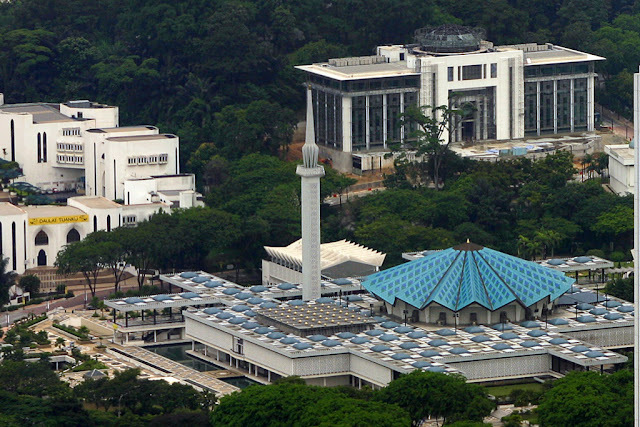 The temperature can reach up to 58 °C (136 °F) with 90 to 99 percent of humidity. Exploration to the cave requires special suites. 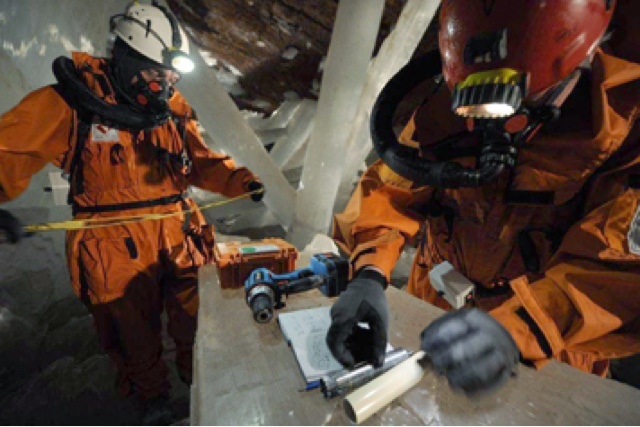 The geologists ever visited into the cave worn a special designed suits, strewn with ice packs. Without a proper suit, human can only endure approximately 10 minutes of exposure to the condition. 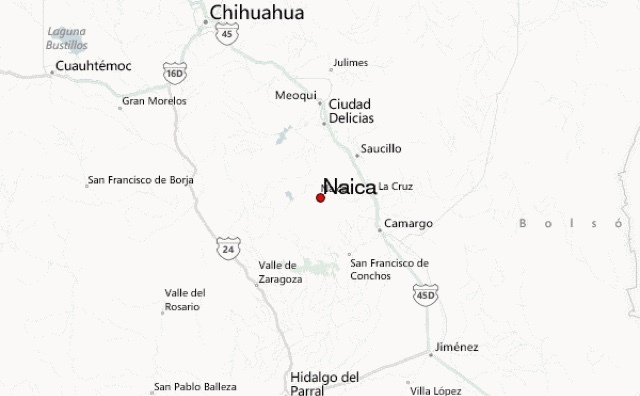 To know more about the cave you also can watch Discovery Channel program Naica: Beyond The Crystals Cave in 2011 production. The cave was reported to be re-flooded by Penelope Boston in February 2017 to the BBC for the mining operations had been ceased.